I was introduced to John Assaraf by a good friend of my David Corbin. I first saw John speak at the National Speaker Association meeting in San Diego about a year ago. He was fascinating, especially his discussion that all of life is just energy. 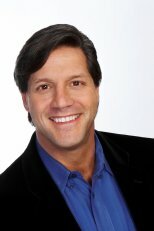 Many of you probably know John from his appearance in “The Secret“, and his many appearances on television as an advocate for the principles taught in “The Secret“. You might be wondering how does this relate to your personal growth and development? Well, because we are all energy, how we control our thoughts, (which is energy), effects everything within our body, mind and soul. Just remember, you don’t have to believe everything that you think, and how you relate to the issue is the issue. So if you choose to channel your energy properly, as John discusses in our interview, you can achieve your life’s goals and dreams. 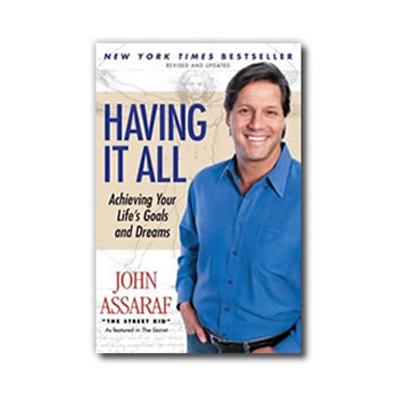 John’s new book, “Having It All: Achieving Your Lifes Goals and Dreams “, is quite informative and not just another self help book. He provides exercises and guidance on how to find your “True North” by using what he refers to as his, ” life design matrix”. You will also find vast resources at his web site which support you on your journey. I would also check out his blog, for he frequently has great advice and it is chock full of valuable information to help you on your personal mastery journey.